So, is it bullying? Or being mean? Don’t get me wrong, all of these occurrences can be distressing, damaging and difficult for pupils to cope with. But in order to calm a situation down and deal with it effectively, it’s helpful if we all speak the same language when it comes to bullying. There’s no legal definition of bullying. cyber-bullying – bullying via mobile phone or online (for example email, social networks and messenger apps)If you’re based in the United Kingdom, the government states your school should have its own policy to stop bullying. 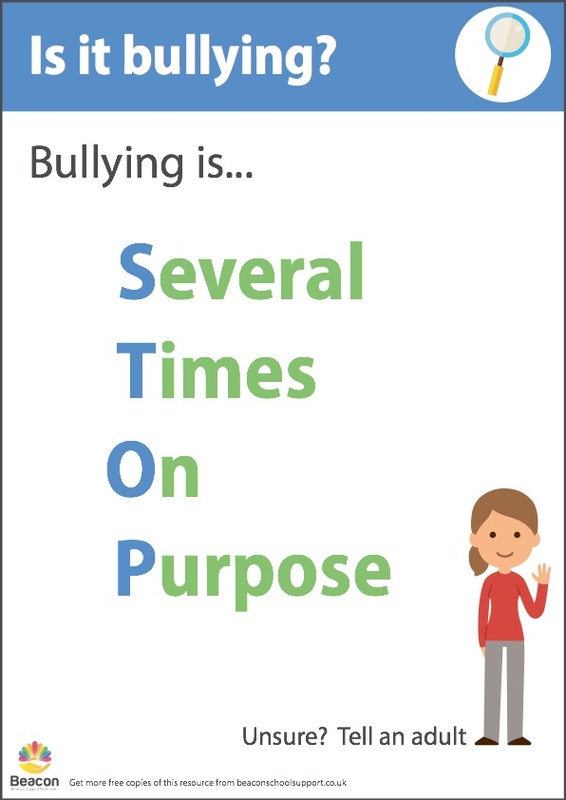 Download and display our free anti-bullying STOP poster around your school – inside classrooms, corridors, playgrounds and toilet facilities. (There’s no opt-in required). Create an ‘Is it bullying?’ display. Make a flow chart to illustrate how one-off incidents are different to repeated, targeted verbal or physical attacks. Give examples that are relevant to your pupils’ age group and display them down the ‘This is bullying’ branch or ‘This is not bullying’ branch of the flowchart. Billy pushes in the line in front of you one time. Adam keeps stealing your lunchbox. Every day at playtime, Melissa tells you, you can’t join in with her game.At the bottom of each branch of the flow chart, tell your student what to do next (eg. see an adult). Ask students to design a flyer for parents based on the flow chart display idea. Send it home and display it on your school website. Use your communication systems such as texts, emails, newsletters and window displays to dispatch reminders little and often throughout the school year about what forms bullying and what your school does to stop it. This will raise the profile of everything that your school does to prevent and manage bullying incidents. Social proof is where you show how other people have reacted in a certain situation, usually to highlight a desired behaviour. For instance, we use social proof to show how a positive role model handled adversity in the past. … would react in the same situation. Share the video below with your students to show that bullying can affect anyone at any time, and that the correct way to handle this is to speak to a trusted adult – and not to try to handle the situation in isolation. Most incidents of bullying at school happen during unstructured times such as playtimes and lunchtimes. 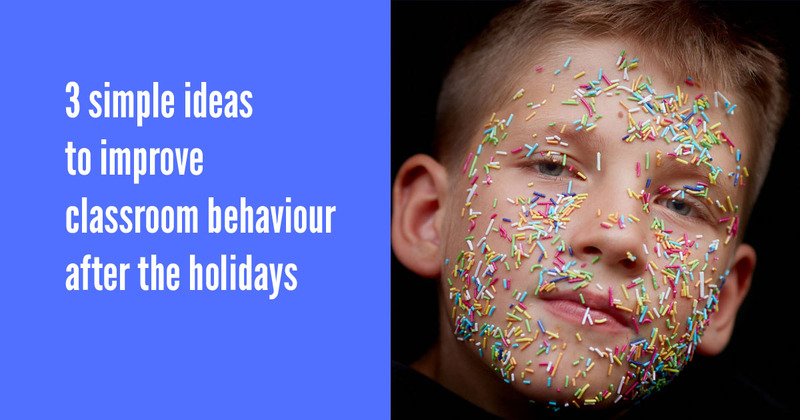 Reduce opportunities for bullying to take place by ensuring that your provision is outstanding, staff are vigilant and all children are meaningfully occupied. Review how and where you deploy your staff. Are there interesting activities to engage your students on the playground? 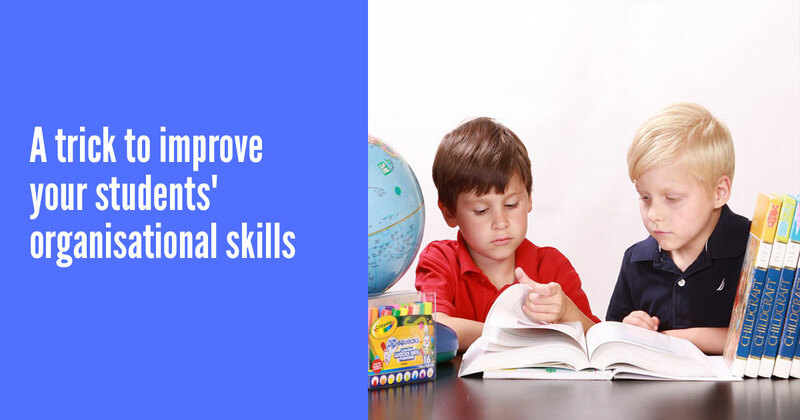 When pupils are meaningfully occupied, incidents of bullying are less likely to occur. 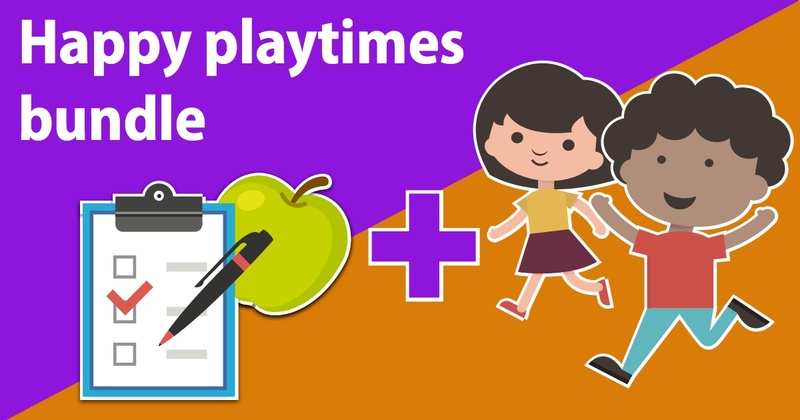 To help with this, we’re offering our Happy Playtimes bundle – you can get it on this page. 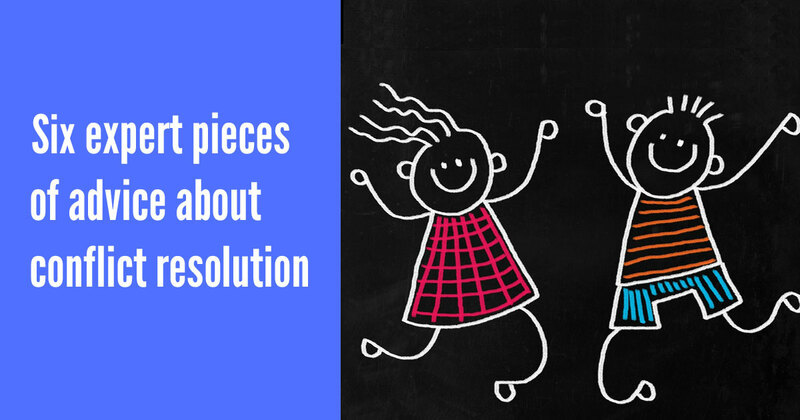 It consists of two of our most popular resources: The Lunchtime Masterplan and Problem-free Playtimes. Now you can get access to both for only 12.99 with our Happy Playtimes bundle… but only until 17th November. 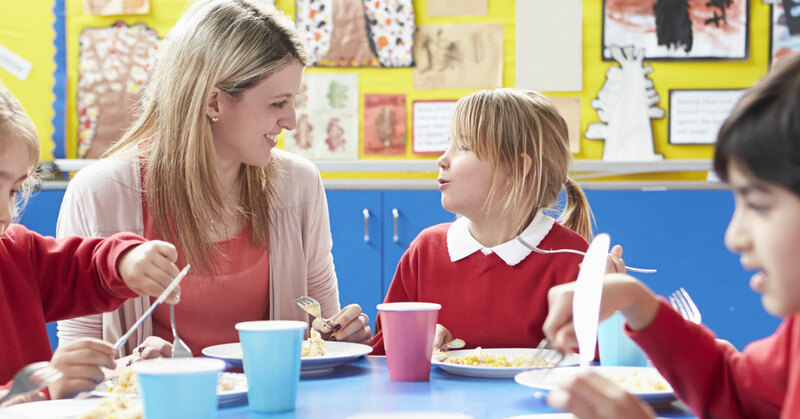 Want our checklists for improving behaviour in your school dining room... for free?